I’m guessing that the flu isn’t on your top-10 wish list, right? But just in case you get sick this flu season, here’s a list of 10 things you can do to help ease your symptoms — and to stop the flu in its tracks and protect others. 2. Stay home! The first day you have symptoms, you may be tempted to venture out to work or school. Please don’t! Not only do you need the rest, but this is also when you’re most contagious (1). Try to nap — and read or binge-watch your favorite television episodes. 3. Prevent the spread. In addition to staying home, wash your hands often and cover your cough and sneeze into your sleeve (2). 4. Drink fluids, breathe steam. This is a great way to thin your mucus, making it easier to cough up. This may help prevent a lung infection. Using a humidifier (a cool mist) or breathing in steam from a hot shower may also help ease congestion (1). 5. Calm your cough. It can be exhausting, I know. Try over-the-counter (OTC) cough medicines — an expectorant helps thin mucus. Do not give a child under age 4 any type of cough medicine. Sucking on lozenges may also help your cough or scratchy throat (1). 6. Ease nose woes. You — or your kids — can try saline nose drops or sprays to ease nasal congestion. First, put a few drops into one nostril. Then gently blow the mucus and saline out. Repeat on the other side (1). 7. Treat other symptoms. Sure, a fever — along with chills and achiness — is a sign your body is fighting off the virus. But that doesn’t mean you need to suffer in silence. Ask me if you have any questions about which fever reducer to take. But don’t forget: Never give aspirin to someone younger than 19 — it can lead to a serious illness (1). 8. Ask about antivirals. Your health care provider may advise you to take one. If you do this within 48 hours of when symptoms begin, you have a fighting chance of reducing their impact (1, 2). 10. Come into our pharmacy. We are fully stocked with everything you need to prepare for flu season. Did you know that a virus similar to kennel cough has been a real issue right here in Bozeman!? According to NBC Montana one vet saw more than 150 cases just this month, with some of these cases turning into pneumonia. Veterinarians recommend pet owners to avoid places such as dog parks, kennels, and groomers even if your pet has been vaccinated. Watch the link below for a short video concerning this issue in our area. A strong cough, often with a "honking" sound - this is the most obvious symptom. If you notice your dog is showing any of these symptoms call your vet for an appointment! Be sure to ask your vet about treatment options. 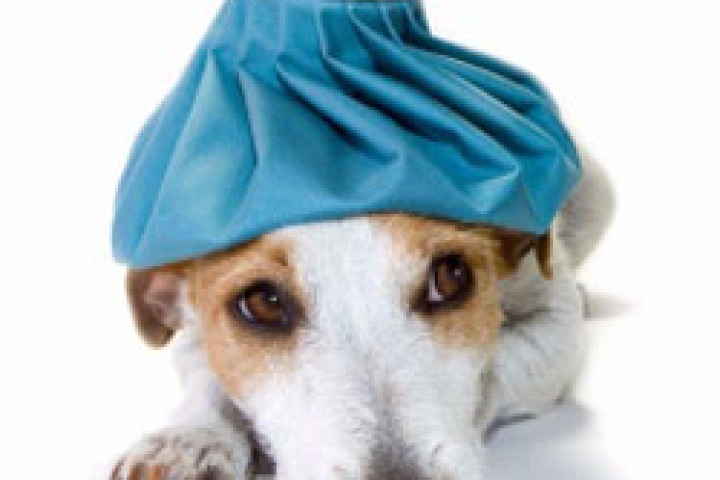 Price Rite Compounding is currently making custom canine cough treatment to ease the cough, the most prevalent symptom. Sleep is critical for mental and physical development. In fact, a lack of sleep can lead to serious health problems such as high blood pressure, injuries, diabetes, and obesity in kids, as well as depression in teens (and adults) (1, 2). Guidelines are more challenging to devise for infants younger than four months. 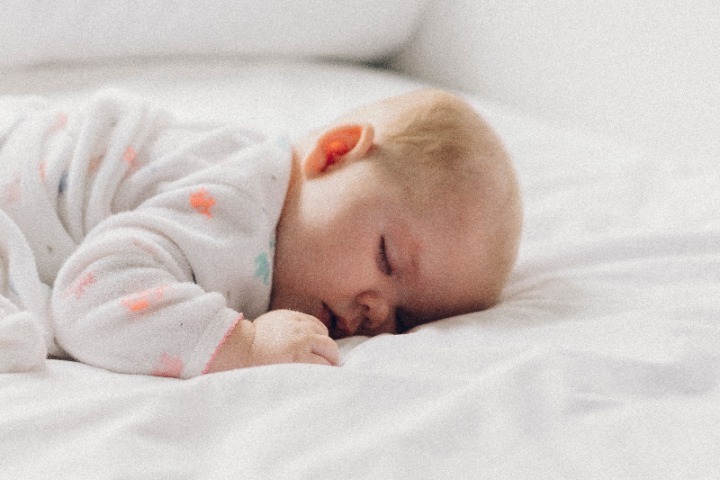 That’s because there is so much variation among young infants as they begin to develop regular sleep-wake cycles (1,2). Have trouble waking up and getting moving within 15 minutes. Sleep at least two hours longer during weekends or vacations than during the school week. Fall asleep during short car trips or at school. Have trouble remembering, paying attention, and learning. Be irritable or hyperactive (1,3). About that hyperactivity — that’s counterintuitive and can really throw parents. When you’re tired, you probably slow down. But kids can really wind up when they haven’t gotten enough sleep, and will resist going bedtime, even if they’re bone-tired. This sign can look a lot like attention deficit-hyperactivity disorder (4). What you can do. Yes, I know: Getting kids to bed at night is easier said than done. But it’s worth the effort, because quality sleep is not a luxury. You can make a difference in a number of ways. For example, help your child learn how to prioritize and focus on the activities he or she really enjoys—maybe not three sports all at the same time! Limit your child’s access to caffeine—remember it’s in chocolate, too. Make sure the bedroom is cool and dark. Set a regular, relaxing nighttime routine. Most important, keep TV and computers out of the bedroom, and turn off all screens at least 30 minutes before bedtime. Whether it comes from a bulb or a smartphone, light promotes wakefulness (1,2). If your child isn’t getting enough sleep, it’s also important to rule out a sleep disorder or other medical condition. Snoring can be a sign of sleep apnea in kids, not just in adults (4). 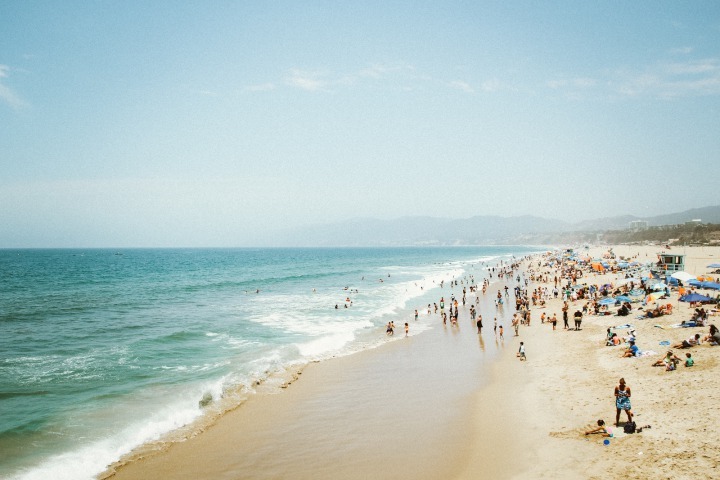 Did you know that skin cancer rates are on the rise in the U.S., where it is the most common type of cancer?(1). It’s no wonder. Just in the past year alone, one-third of the adult population has been sunburned at least once. And that lobster-red look is a clear sign of exposure to ultraviolet (UV) rays — a known cause of skin cancer, which can impact any age, gender, or race (1, 2). Potentially blinding eye diseases (1). Here’s the silver lining in this gloomy cloud: Avoiding the sun’s UV rays is one of the best ways to prevent skin cancer (1). Seek shade and stay out of the sun, if you can, when UV rays are strongest—from 10 am to 4 pm. Be extra careful at higher altitudes where skin burns faster. Limit exposure to water, sand, snow, and concrete—surfaces that reflect light. Use sun protection even on cloudy days, when certain types of UV rays can be stronger. Rely on diet and supplements to get your vitamin D, not the sun (2, 3). Block both UVA and UVB rays. Are labeled with sun protection factor (SPF) 30 or higher. Are water resistant—they’re more protective when you sweat. Are products you will use consistently. Generally, creams are best for dry skin and the face, gels work well for hairy areas, and sticks are easier to apply near eyes. Mineral-based sunscreens—such as zinc oxide or titanium dioxide—work well if you have sensitive skin (2, 3). Wear sunscreen every day, even if you plan to be outside a short time. For best results, apply it generously 15 to 30 minutes before you go outside to all exposed areas — don’t forget your feet and ears. (A lip balm works best for your lips.) Always reapply after swimming or sweating and about every two hours or as often as the package suggests (2,3). A hat with a wide brim. This works better than a baseball cap or visor for shielding your whole face from the sun. Sunglasses that block both UVA and UVB rays. Long-sleeved shirts and long pants. Loose-fitting, unbleached, tightly woven fabrics. Special clothing that absorbs UV rays (3). 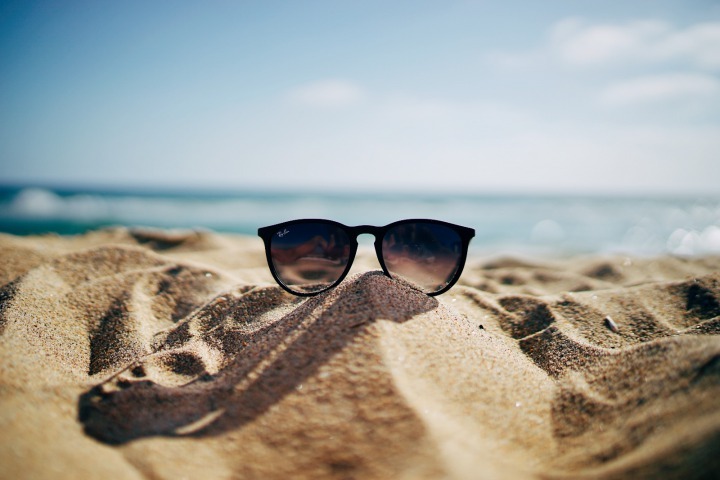 Don’t forget to protect those parts of your body that may be in constant sunlight--- your nose, forehead, and eyes. Sun protection products can be found here at Price Rite Drug Pharmacy. “You don’t know what you got till it’s gone.” Depending upon your age, these words may recall the lyrics of a 1970s folk song by Joni Mitchell. But you might want to listen up and consider these words another kind of warning — especially if you’re a man. More people with hearing loss. Today, twice as many people have hearing loss as in the 1980s. And sadly the trend isn’t improving. A recent report predicted that the number of U.S. adults with hearing loss will rise to nearly a quarter of the population in the next 40 years (1). Perhaps we’ve adapted just a bit too well to all the noise in our environment — from rock shows and subways to motorcycles and kids’ toys. The story is even more sobering for men. That’s because hearing loss may be more common and severe in men than in women. One likely reason is that more men than women are exposed to sustained loud noises (2). In people with both depression and hearing loss, use of hearing aids reduces symptoms of depression (3). Get earplugs for loud events — and wear them! Even the simple foam plugs you can buy in our store can help protect your ears. Let’s talk painkillers. A study in men found that taking painkillers like aspirin, nonsteroidal anti-inflammatories (NSAIDs), or acetaminophen only two times a week significantly increased the risk of hearing loss. These drugs may do this by reducing blood flow to the inner ear. If you’re concerned, let’s discuss this (4). Consider an iron test. By contrast, iron helps carry blood to the inner ear. That may be why low levels have been linked to hearing problems (1). Of course, your doctor should first rule out a medical problem that could be causing any hearing loss. Then, let us know if you would like any guidance about specialists who can help evaluate your hearing or help you choose a hearing device. Just remember: these are not your father’s hearing aids. Today’s hearing aids are nearly invisible, can adjust to different environments, and benefit from many high-tech features (3). (4) Curhan SG et al. Am J Med. Where’s the fat? As it turns out, not all fat is created equal. Where you carry your fat can make a big difference, especially as you age. A recent study of women in their seventh decade of life found that being overweight or obese didn’t shorten their lives, unless the weight was carried at their waists. The risk of death was consistently higher in women with waists measuring more than 31.5 inches. However, there was an exception: Compared with white or black women, Latinas had lower death rates at any waist measurement or body mass index (BMI) (1). A second study also found that pockets of fat near the heart can be a hazard for women as estrogen levels drop after menopause. For the first time, researchers have shown a link between this type of fat and the risk of calcium build-up in the heart’s blood vessels (2). Bottom line? As you age, healthy diet and physical exercise are more important than ever to reduce your risk of heart disease. The new smoking: sitting. When it comes to activity, your cells apparently don’t lie. Each day, do you sit for more than 10 hours and get fewer than 40 minutes of moderate-to-vigorous physical activity? If so, your cells might be eight years older than your actual age! That’s what a recent research study found when assessing nearly 1,500 women, aged 64 to 95 (3). 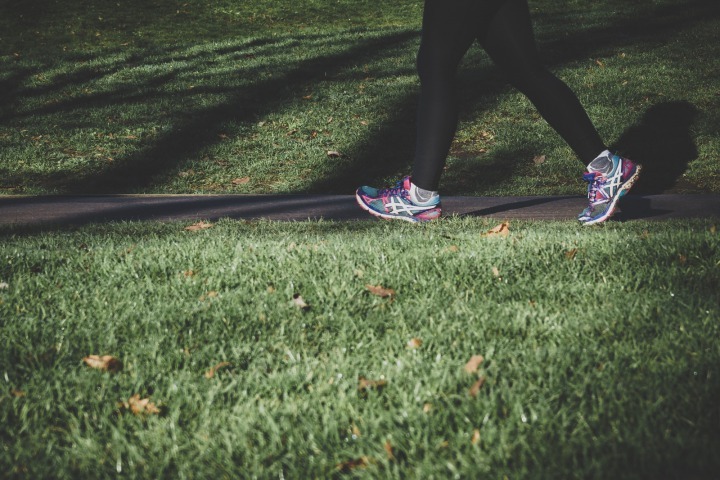 A second small study of 70 women also found that walking briskly at least 150 minutes a week can improve weight, blood pressure, and cholesterol levels in as little as 10 weeks (4). Moral of the story? Enjoy that retirement, but keep moving! Medications for older women. As you age, you’re more likely to take medication. And, in general, women are more likely to take more drugs than men. Over age 65, 9 in 10 take at least one drug a week and more than four in 10 take at least five different drugs a week. Twelve percent take 10 or more drugs per week (5). But as you age, your body changes. It contains less water and more fat, which changes how your body processes medication. Also, your kidneys and liver may be less able to rid your body of drugs (5). What does this all mean for you? It means taking medications over age 65 is more likely to cause side effects and drug interactions (5). And that means that our teamwork is more important than ever. Let’s stay in touch to be sure you are on the right type and dose of medications. Itchy eyes, runny nose, sneezing, fatigue…. These are just a few of the signs of seasonal allergies — also known as hay fever (1). And get ready: It looks like we may have a real doozy of an allergy season this year (2). Milder winter temperatures in places can cause plants to pollinate early. And a rainier spring leads to quick plant growth, as well as an increase in mold (1). Heat and high humidity promote the growth of molds. Cool nights and warm days allow tree, grass, and ragweed pollens to thrive. 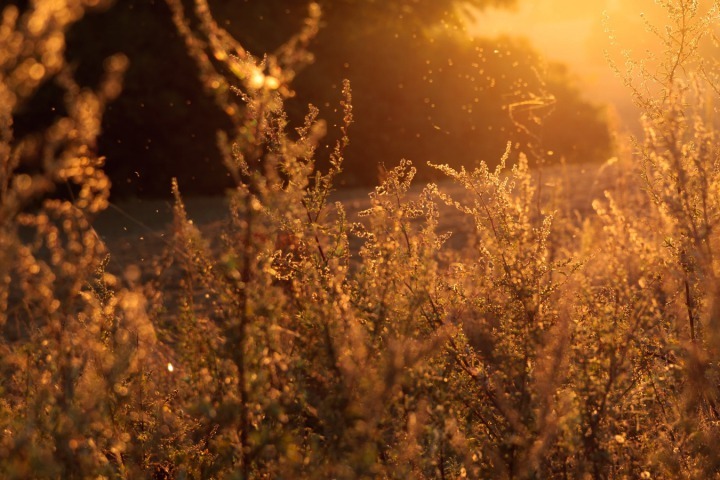 In spring and summer, tree and grass pollen levels tend to peak in the evening. In late summer and early fall, ragweed pollen levels tend to peak in the morning. Windy and warm days often result in surging pollen counts. After a rainfall, pollen counts may go up, even though the rain temporarily washes pollen away (1). Keep windows and doors shut in your car and home. Monitor pollen and mold counts daily. Weather reporters often provide this information. When doing chores outside, wear a NIOSH-rated filter mask. Better yet? Delegate! Be on the lookout for mold, which can build up in moist months. A deep spring cleaning will help get rid of mold and other allergens. Cleanliness may not be close to godliness. But it sure may help you feel better. Clear the air with a HEPA room air cleaner rated with a Clean Air Delivery Rate (CADR). If you have central air, use air filters with a MERV rating of 11 or 12. Change air filters every three months (3). Relieve your symptoms. Corticosteroid nasal sprays, decongestants, antihistamines. These are examples of over-the-counter drugs that can help relieve your symptoms. Come talk to me to make sure you’re using them the right way. If side effects are a problem, we can work together to come up with a solution. For example, a few possible side effects of antihistamines are sleepiness, dry mouth, constipation, and light-headedness (4). For some people, allergies can lead to or coexist with other health problems such as asthma or sinusitis. Asthma narrows or blocks the airways. Sinusitis is caused by inflammation or infection of cavities behind the nose (5). Just one more reason why working with your doctor and picking up the right medications at your local Price Rite Pharmacy, is a good idea. Eight out of 10 people living with vision loss worldwide could have saved their sight through prevention or treatment (1). Pretty amazing, isn’t it? Of course, seeing your doctor for eye exams and treatment is key. Protect delicate eyelid skin from skin cancer, non-cancerous growths, and wrinkles (2). Fruit. In the study, those who ate just over 5 ounces of fruit a day were nearly 15 percent less likely to have AMD (4). The researchers found that fiber, beta-carotene, and vitamins C and E seemed to be most protective. 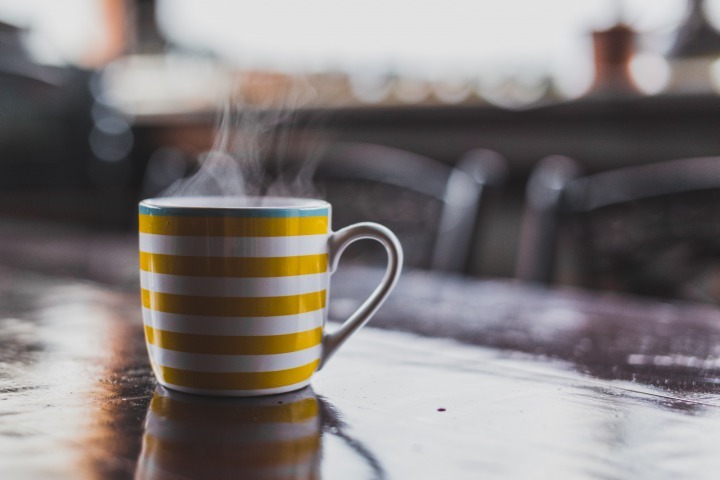 Surprisingly, people who consumed more caffeine also had less AMD (3). Other research has also shown that zinc, lutein, xeaxanthin, and omega-3 fatty acids may protect not only from AMD, but also cataracts and dry eye. You can find these nutrients in citrus fruits, vegetables oils, nuts, whole grains, dark green leafy vegetables, and cold-water fish like salmon (4). Some people should not take large doses of antioxidants for medical reasons. So be sure to talk your doctor or me if you have any questions about this. If you are at risk for diabetes or AMD, you may also benefit from a low-glycemic index diet. What is this? Avoid foods that quickly raise your blood sugar, such as sweets and white bread (4). 3. Quit smoking. Smoking is linked to AMD and cataracts (2). Yes, I know it’s not easy, but if you smoke, quit, and if you don’t smoke, don’t start! If you need ideas for quit-smoking resources, we'd be glad to help. Price Rite carries nicotine gum and patches and other addiction-fighting aids. 4. Send kids outdoors. Here’s one for your kids: Recent research is pointing to a possible benefit of more time outdoors early in life, especially between the ages of 14 and 29. Although researchers don’t understand why, this appears to decrease the risk of nearsightedness (myopia). So, send your kids outdoors, but don’t forget the sunglasses and sunscreen (5). 5. Use eye protection. Two-and-a-half million eye injuries occur in the U.S. each year. 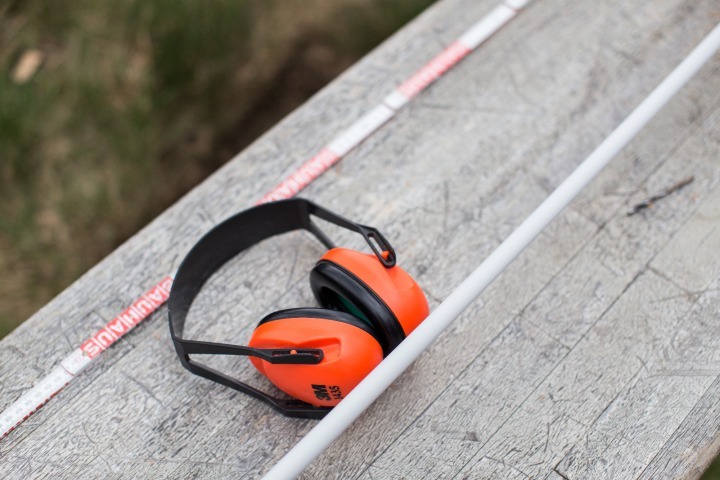 Using standard protective eyewear could prevent most of these injuries. If you or your child plays sports, make sure the eye protection meets the specific requirements of that sport. Not sure? Check with the American Society for Testing and Materials (ASTM) (2). 5. MedlinePlus: Can Extra Time Outdoors When Young Reduce Nearsightedness? We are pleased to announce that Price Rite Drug was selected to start carrying products from the Montana EMU Ranch! 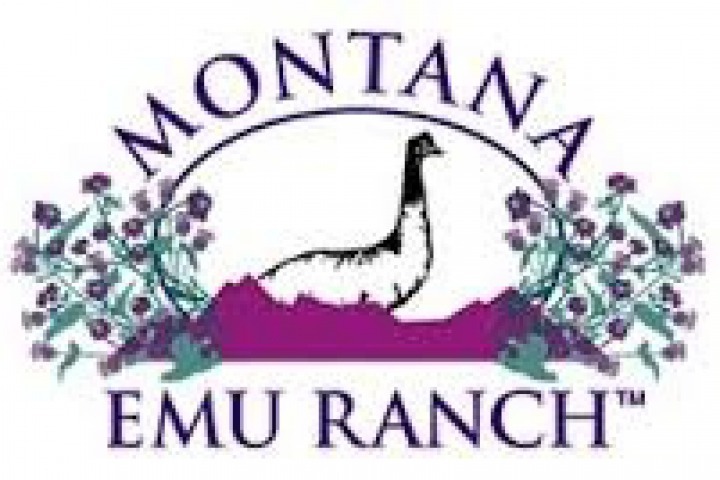 Montana Emu Ranch Company manufactures Personal Care Products and Nutritional Supplements. Emu Oil is a complex of various beneficial fatty acids including Omega 3, 5, 6, 7 and 9. Emu oil is also a natural anti-inflammatory and trans-dermal carrier. Burns including radiation burns and sunburns, Eczema, Psoriasis, Rosacea, Contact Dermatitis, Rashes, Acne, Moisturizer, Cracked and chapped skin, Bug bites, Rhinitis, Dry irritated nasal passages, Canker sores and cold sores, Arthritis, Rheumatism, Bursitis and Tendonitis, Sprains, Sport injuries, Swollen tissue, Scarring, Cosmetic peels, Keloids, Stretch marks, Puffiness around the eyes, Facial lines, Age spots, Hemorrhoids, Diabetic neuropathy, Callused feet, Chlorine irritation, Razor burn and nicks, Blisters, and so much more! The Montana Emu Ranch also has a selection of pet and livestock products! What makes Montana Emu Ranch unique? Montana Emu Ranch emu are raised in large pens with free choice feed and water. This means they have access to food and water around the clock, even using heated waterer's in the winter. The water they use comes from a deep fractured rock aquifer and they feed a special diet of fresh ground crops from a mill 130 miles south of the ranch. The emu feed is free of chemicals, anti-biotics, and synthetic fillers. They are on of the few, if not the only ranch that sends large enough batches of fat to be guaranteed it is not mixed with any other ranches fat from any other part of the country. This is so important because Emu store toxins in their fat. The cleaner the feed and living conditions the better the quality of the oil. Each batch of oil is tested by an independent lab and measured for various fatty acid content, color, odor, and stability. Montana Emu Ranch emu oil is consistently rated within the top 2% of oil produced in the nation based on cleanliness, color, and yield. At Montana Emu Ranch the birds are 98% usable. They are processed in a state inspected plant only 20 minutes from the ranch and the birds are processed the same day they are delivered. Emu meat is a fat free red meat that is endorsed by the American Heart Association. Whatever meat is not packaged and sold to local health food stores and restaurants is sold to naturally feeding dog and pet groups. In the past 40 years, cases of heart disease in the U.S. have dropped by 20 percent (1). Now, that’s news worth celebrating! Efforts at prevention, detection, and treatment appear to paying off. For example, Americans’ cholesterol levels keep falling. Researchers think that ditching trans fats from our diets may be one reason why (2). Pessimism. A study lasting 11 years looked at the risks linked to pessimism among 3,000 men and women. And guess what? That “glass-half-empty” attitude seemed to have a pretty big impact. Those who were most pessimistic were twice as likely to die of heart disease as the least pessimistic. The researchers can’t prove that negativity caused the rise in heart-related deaths. But this emotion can lead to an increase in hormones related to stress and inflammation. And, that might help explain the link (3). Worry. An even larger study of 7,000 Norwegians also found a link between worrying about a heart attack and actually having one. The “worried well” were twice as likely to have a heart attack as those who weren’t anxious about their health. Again, the link can’t be proven, but physical changes from anxiety are the likely culprit (4). Depression. Over 10 years, researchers tracked 1,100 women and found that those with a history of depression had a much higher risk of heart disease. In fact, in women younger than 65 with no history of heart problems, depression was the only significant risk factor linked with developing heart disease. Depression can produce stress hormones. But it may it may also lead to unhealthy behaviors that can increase the risks (5). Anger. Either intense anger or physical exertion doubles the odds of having a first heart attack. Even worse? Combining the two triples that risk, according to a study of 12,000 people. Chances are, anger and intense activity simply trigger an attack in people who already have artery-clogging plaques, say the researchers. Intense emotions or activity may cause a domino effect: A rise in blood pressure and heart rate constricts blood vessels. That, in turn, causes plaques to rupture and cut off blood flow to the heart (6). HealthDay: Anger, Heavy Exertion: Fast Track to a Heart Attack?